& OTHER STORIES LAUNCHES WINTER SALE! This ruffled embellished dress features a slit at the front with spaghetti straps. The gift giving season has officially past, and if you want treat yourself than look no further. & Other Stories recently launched its end-of-the-year sale. If you’re still looking for that perfect party dress, ankle boot or coat; the fashion brand has plenty of options. Discover some of our picks from the sale below and shop more at Stories.com. 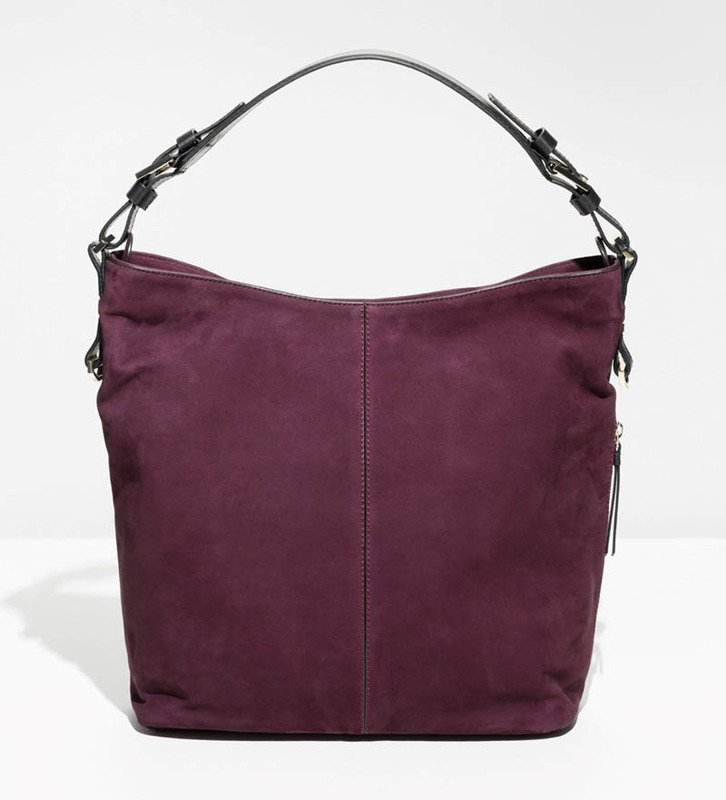 A classic hobo bag comes in burgundy suede with a leather handle. 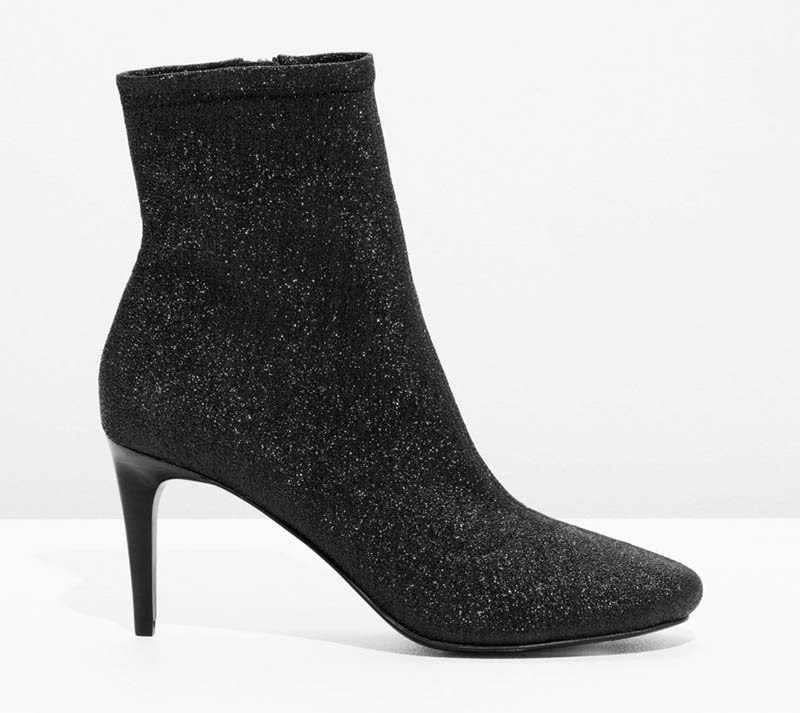 Made from glittery fabric, a soft ankle boot features a 3″ heel. The classic trench coat gets updated with a drawstring collar and cool ruffles. This minimal ballet flat comes in a black suede with an asymmetrical cut-out.